Caesars Palace, 3570 Boulevard South, is Las Vegas in a nutshell: quirky, rich, opulent and a place where fantasies become reality. 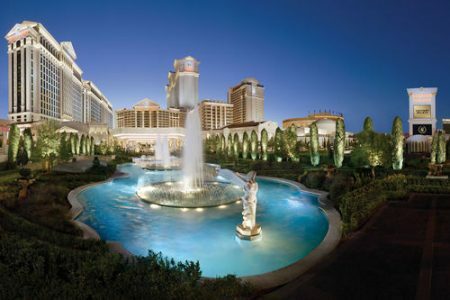 Caesars Palace hotel, is a bit like the marmite of Las Vegas, to some, it may be over the top or tacky, but if you can’t be over the top in Vegas, where can you? It lies at the very heart of the Vegas strip, making it the ideal spot for people who want to taste the opulence of the Vegas lifestyle. 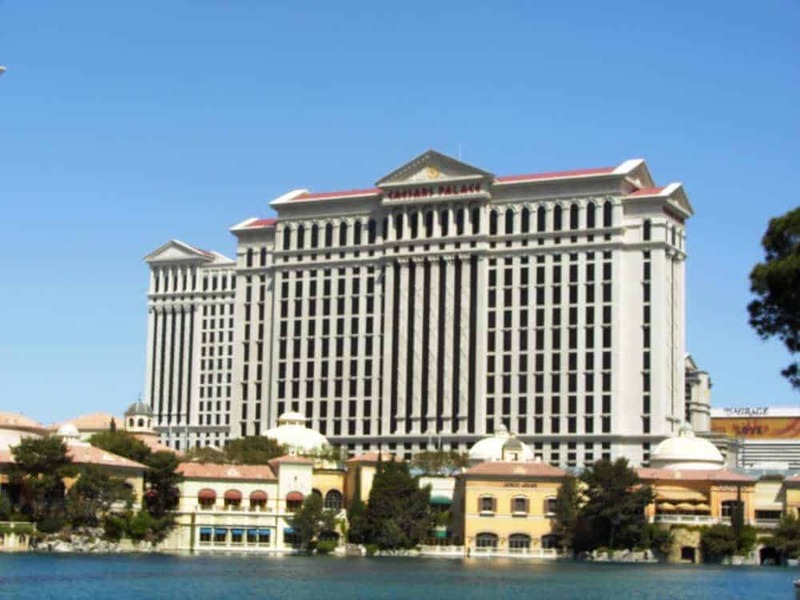 The hotel is defined by its Greco-Roman theme, which hasn’t really changed since the 1960’s: it is a wonderland of golden Roman figures, sparkling fountains and waitresses draped in toga-like mini-skirts. 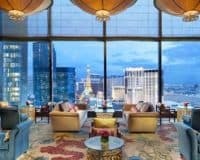 This makes it an authentic combination of the glamorous and kitsch, making it the kind of unique experience that you can only find in Vegas. This beautiful resort is the height of luxury, meaning that it has every amenity that you could possibly imagine. From incredible pools, with glittering statues of Roman and Greek heroes, to a high-quality spa and fitness center and amazing shopping malls. That combines with an extensive list of award-winning restaurants, offering delectable cuisines from across the world. 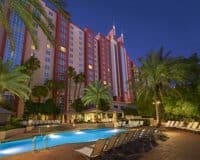 The hotel complex also hosts more shows than it is possible to list here, but at time of writing, Elton John, Celine Dion, Jerry Seinfeld, Rod Stewart and Mariah Carey were booked, to give you a flavor of the quality of the acts. There are also limitless numbers of trendy bars, which people staying in hotels on the rest of the Strip, queue for hours to get in. 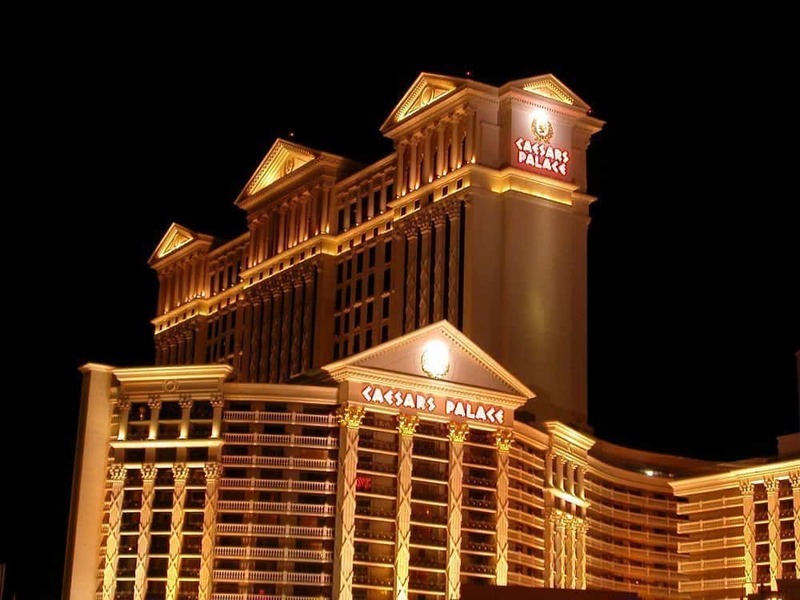 The Caesars Palace casino is the essence of Vegas, offering a vast array of games for everyone, so whether you are gambling for the first time or a seasoned professional, they will have something to satisfy your desires. From countless slots to table games and poker, each one has a little Romanesque twist, making it a genuinely unique gambling experience. The standard rooms, are comfortable and spacious, while the expensive ones are something completely out of this world. They have something for every taste, while the views are stunning, as the famous Bellagio hotel and its renowned fountain sits just opposite. Caesars Palace is Las Vegas in a nutshell: quirky, rich, opulent and a place where fantasies become reality. 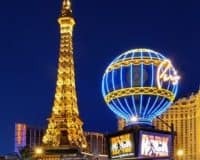 If that is the kind of Vegas trip that you want, then it is the place to be! 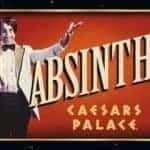 Absinthe: By Spiegelworld, a traveling circus, features acrobatics, burlesque, singers and dancers. 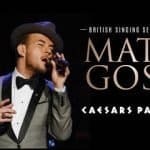 Matt Goss: Sinatra style show, keeping it old school, decked out in black tie and a black fedora.